The other day, I was reading this post about how Japan’s Princess Aiko has been missing school because of bullying by some boys at her elementary school. While this news is disturbing in itself, what caught my attention was the reference the article made to Aiko’s mother, Princess Masako. Anybody remember this woman? Her story still makes me emotional. When I was a little girl, it was the glamor of England’s Princess Diana that captivated my sisters and I. Yes, a huge stereotype I know for young girls to be infatuated with princesses, but there is something about real live ones, especially when you are just a little girl. As I grew older however, it was Princess Masako who really captured my imagination. 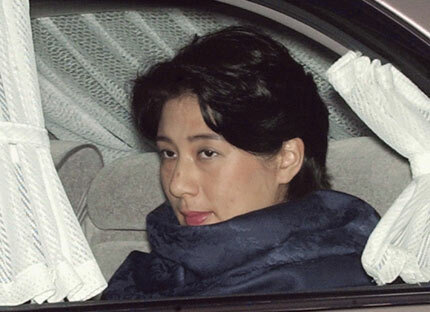 The daughter of a Japanese diplomat and President of the International Court of Justice, Masako attended both Harvard and Oxford University before marrying into the conservative Japanese Royal Family. 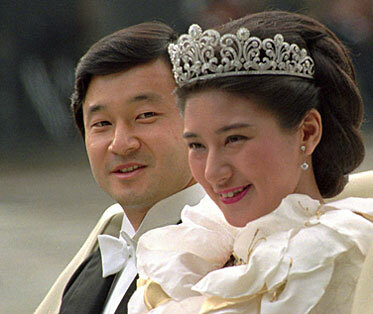 The pairing of a modern and educated woman like Masako, who had worked at the Japanese Ministry of Foreign Affairs before her marriage, seemed to signal a new dawn for the notoriously private and traditional Japanese Royal Family. Japanese women would have an accomplished and independent role model to look up to, one who would very much be in the public eye. It appeared to me as though the world was about to be introduced to its first modern-day Princess. The Japanese Royal Family calls her condition an “adjustment disorder,” even though sources confirm that the pressure to produce a male heir caused Masako to seek professional treatment. How incredibly sad and disturbing that in this day and age the pressure to give birth to a son literally cost this woman her sanity. It is even more upsetting that Masako was such an educated and accomplished woman. It is a loss to women all over the world that we never got to see Princess Masako come into bloom, into her full potential, both privately and publicly. Ancient Japanese Imperial Law stipulates that succession is passed solely through male heirs, hence the intense familial pressure placed on Masako. However, it is not only in Japan where we see this kind of stress on women. Around the world, sons are still valued more than daughters, especially in the Global South. It is 2010 and we are dealing with global gendercide. Ironic that I am writing this post on International Women’s Day, a time to recognize and celebrate women’s accomplishments around the world. But today we should not only celebrate how far women have come, but recognize how far we still have to go. Forget the princess fantasies: Simply recognizing cultural biases towards sons is a huge step in securing and protecting the rights of women and girls around the world. *This post of mine was also published on the Ms. Magazine Blog and The Huffington Post. Previous PostLatest US Pledge To Pakistan: A $50 Million PR Move? Women are still seen as breeding mares in many cultures. Even though it is less pronounced in some, I see it in Europe as well. Somehow a woman who has had children is better than one who has not. Sad isn’t it? But a lot of modern societies go the other way. We tend to look down on women who have children. We need to focus on celebrating all these different forms of achievement instead of thinking one is better then the other.